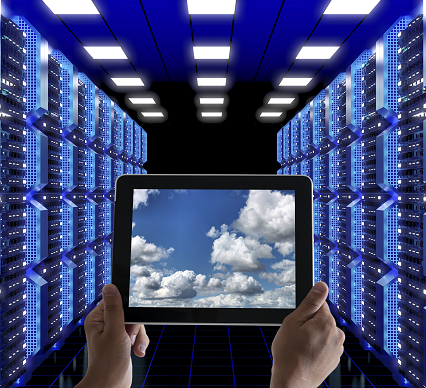 Shifting to cloud application providers requires companies to step carefully. Here are 9 potential problems that can prevent a smooth transition. The cloud has won. While on-premises software will continue to exist, cloud computing has so much to recommend it that organizations cannot afford to ignore it. Clearly, they aren't. In 2016, spending on public cloud infrastructure-as-a-service (IaaS) hardware and software is forecast to reach $38 billion worldwide, according to Statista, and to rise to $55B in 2026. The application layer of cloud computing, software-as-a-service (SaaS), exemplified by vendors like Adobe, Microsoft, and Salesforce.com, shows similar health. Spending on SaaS should reach $50 billion by 2024, up from $12 billion projected for the end of 2016, according to Better Buys. Gartner paints a similarly rosy picture, predicting the worldwide market for cloud application services (SaaS) will reach $37.7 billion by the end of this year, up from $31.4 billion in 2015. "The market for public cloud services is continuing to demonstrate high rates of growth across all markets and Gartner expects this to continue through 2017," said Sid Nag, research director at Gartner, in a statement earlier this year. "This strong growth continues reflect a shift away from legacy IT services to cloud-based services, due to increased trend of organizations pursuing a digital business strategy." Gartner anticipates that approximately 28% of human capital management systems used worldwide will be SaaS-based by 2019, up from 13% in 2014. Other enterprise systems look like they're headed in a similar direction. Enterprises now have the option to reduce or avoid the expense and risk of large scale ERP and CRM deployments by integrating SaaS applications instead. In so doing they also have the opportunity to shift their IT groups away from the defensive posture of maintenance and management toward tasks that improve business productivity and advance strategic goals. But ditching desktop applications for SaaS requires some planning. It's not something that should be done lightly. There are technical, economic, and legal issues to consider, along with organizational politics. To understand the risks, you only need to look back to May 2016, when Salesforce.com suffered a power disruption affecting three of its 45 North American instances. The incident caused hours of downtime for a significant number of Salesforce clients. Before shifting to cloud-based applications, consider the potential pitfalls that follow. Thank you. It's really a great article. I fully agree with all the pitfalls. However, I think it's worth mentioning measures one can take to avoid these pitfalls. For instance, implementing SAM tools, such as Binadox, can be of a great help. These tools can help manage legal entitlements and liabilities, as well as costs. Whlle I think your blog is great, I think there is a possible 10th pitfall. The application that runs smoothly on premise may not work properly in the cloud. I understand the concept, but as you already said. That disruption was not a thing to ignore. Overall good advice. worth mentioning the importance of adopting over customisation. Its important to adopt internal, business process to meet the standard provided by vendors as opposed to (heavy) customisation of software, no matter how easy the vendors offer. Instead, rely on configuration parameters. Although the Business or Architects want the software to reflect their practices and sometimes idiosyncracies, this can be a burden in the longer term It's a bump in the road and hindrance, when trying to attain continuous upgrades that happen in the background... with minimal manual testing (perhaps some automated testing) and data validation. Often it locks you into the vendor. When acquiring software as a service, an appropriate exit strategy to an alternative solution or different (business) model must be technically and commercially straightforward. If appropriate, prove the concept before signing.